I thought a cool topic for analysis is the recently spoiled 2016 Banlist for the World Championships. This list is a combination of the TCG and OCG banlists with a number of specific bans on cards that support heal/burn archetypes (Mystik Wok and Tri and Guess) or indulge in weird player interactions (Yu-Jo Friendship?). All in all I don’t care about the list, but I would like to brainstorm what decks have a chance to win the tournament give the limited field. Begrudgingly, I think Blue Eyes is well-positioned in this format as the recently released movie pack gave the deck the one card it was missing, Alternative Dragon. Blue Eyes has consistent drawpower/filtering (Trade-In and Melody of the Awakening Dragon) and can counter Pendulum decks using Spirit Dragon. The only reason I’m hesitant to call Blue Eyes the best deck is that I feel like everyone will be siding heavily for it and that the deck folds to cards like Light-Imprisoning Mirror. Heck while not a deck I see as viable, Evilswarm may make an appearance just for their favorable match-up against Blue Eyes. Whether it be pure Anti-Meta, Qliphort or Tellarknights, trap/floodgate decks are stronger than ever with the plus 2 powerhouse that is card of demise. Last year Tellarknights won worlds by running a surplus of traps, which makes me believe that Demise decks will be strongly considered this year. I cannot shake the feeling that Raidraptors are viable in this format. In the absence of Kaijus and #39 Utopia the Lightning there is no clean out to Raidraptor Ultimate Falcon (a 3500 attack point Apoqliphort Towers knockoff). This card is incredibly easy to summon by using Raidraptor Last Strix and as much as I hate to admit it, this card seems nearly invincible. I’m not sure someone would take the risk of running such a rogue deck, but I recall Harpies seeing play last year so anything could happen. Also no, the banning of Cattle Call isn’t enough to kill this deck, though I acknowledge the indirect hit. I could be completely wrong on these predictions, but from the available list this is the best I could do… (at 2 AM incidentally). I do think that the meta decks will be seen and that hitting a deck doesn’t necessarily make it unplayable. However, from my experience in yugioh most players tend to abandon decks when they get hit rather than innovate them. I don’t mean this as a derogatory statement, but more as an anecdotal observation of no real consequence. Anyways, thanks for reading as usual. Magic the Gathering Eldritch Moon Draft: Can G/W Aggro spook the kids? So like unfortunately all of my recent (and honestly Eldritch Moon posts) this is going to be short, underwhelming and kind of meh. I went to FNM to draft the new set, honestly because I wanted to have one, at least one great experience with these new cards. Yeah nah, but at least I got all I really wanted. I tried to play an extremely low curb Green/White Humans list. I had a lot of confusion between being a Delirium mid-range deck or an all-aggro deck. This would become apparent in the first round where my late game barely existed. Also after some advice from a friend I ended up dropping Nahiri’s Machinations since I wasn’t in red. We both mulligan to 6, but I get the early Collective Effort to pump my team and defeat the opponent on turn 5. Game 2 he mulliganed to 5, but I couldn’t out his Wretched Gryffs and eventually got beat in the air. Game 3 I made 2 mistakes. One was casting Nahiri’s Machinations before my 3/2 Slayer guy and mistake 2 was giving my opponent 2 creatures over their 4th land after he cast Epiphany at the Drownyard. I lost to Wretched Gryffs yet again. My opponent had the strong power of multiple 4 CMC 4/3s. I was quickly taken to 2 life as Thraben Standard Bearer made a small horde of tokens. I used Borrowed Grace to taken his attackers, but the road to stabilizing 2 to 27 proved a long one. So what saved the day was Hope Against Hope on one of my Standard Bearers raising it to at its height a 9/9 Flying First Striker (Did I mention I got Gryff’s Boon on it too!). The ground was somehow effectively held by the flipped version of the Extractor of Sin who turned the 1/1 humans into the nice 3/2 Eldrazis which fought the 2/2 zombies made by his Noosegraf Mob. There was one turn he had game on me (6 attacks to 5 blockers), but I made the plains in my hand seems so threatening he held back. I shouldn’t have won this 20 minute game one. So my opponent had the Lone Rider, which got walled game 1 by Desperate Sentry. I put both Hope against Hope and Gryff’s Boon said Sentry and just kept swinging in the air until he succumbed. Game 2 he used Strength of Arms on his Lone Rider in order to flip it into the 4/4 Eldrazi Horse. The first strike on the horse was relevant and it took him to the nice 35 and me to 8, before I managed to kill it using a huge block along with an Escalated Borrowed Grace. The road to turning the tables this time involved the power of the flipped Eldrazi maker and the graveyard ability of Gryff’s Boon. It kept making a threat he had to answer and well he couldn’t. I for a 3rd time assembled Exodia in the form of Standard Bearer + Hope Against Hope + Gryff’s Boon. He actually went from 31 to 0 in 3 turns. In hindsight despite my dreary opening to this post I had a lot of great games early tonight. You can only steal so many matches before you admit to having a decent draft. My deck was poor, but it was a good learning experience, especially at the start of the format. Anyway on impulse and so I can immediately turn my back on this set I just bought a Tamiyo, Field Researcher (a.k.a Omniscience under Doubling Season in EDH) so I don’r need anything else from Eldritch Moon (technically). The other cards were traded for either Promogenitus or my swiftly jankier Mono-Black spirit deck. All of my other EDH decks are in pieces at this point. Now I can go back to the truest of secret projects. The slow acquisition of cards for the game I haven’t played in over year now that I found a tribe I actually like. Here’s to the Bermuda Triangle Mermaids deck in CFV! Magic the Gathering Eldritch Moon Pre-release: I used up all my luck and we paid the price! Karma for that Flooded Grove most likely. That being said today was still great for various other reasons. I played this Red/Green Werewolf deck while my partner played a Blue/Black Control deck. My partner got mana flooded with 8 lands in play, Rise from the Tides in hand and a single Collective Brutality in his graveyard. I got mana-screwed having three 5 drops in hand. One huge attack from the opposing team took us from 22 to 9 and from there we were never coming back. Which did allow my partner to borrow one of my EDH decks and resolve the glory of Miwari’s Wake into Genesis Wave. I also realized that Horobi, Death’s Wail is fun (albeit terrible) general for my black spirit EDH deck, which is quickly becoming mono-black jank. And that against the 2/3 that discards a card to cause both teams to lose 4 life (Skirsdag Cultists? I think), yeah we died very fast. Forget thoughts, Eldritch Moon was a underwhelming and both pre-releases didn’t excite me. That being said, I have a renewed love for my 5-Color Promogenitus EDH deck, which I’ve recently put more effort into making as strong as possible. Watching the totally unfair amounts of value my partner managed to attain using my deck leads me to believe I’m close to an actually strong deck. Anyway, thanks for reading and here’s to Kaladesh in September! In the quest to feel young again I went to the midnight pre-release for the new Magic set. This is the first time I’ve gone to the singles of a pre-release since Origins. I was fairly underwhelmed by my experience so this maybe brief. As stated I played a really slow, very grindy Black White Tokens deck. The plan was to swarm the board with 1/1 Flying tokens and cheese wins from there. However, it ended up being far too fair a sealed deck. I had no bomb that wins me the game on the point, hence the grinding. My opponent had the real goods between Westvale Abbey, Heron’s Grace Champion and Gisela the Broken Blade. I got very luck due to my opponent’s myriad of misplays (Not really up mana for Westvale Abbey, Forgetting his Crossroads booster, not focusing on Ormendahl, Thinking he could take enchantments from my graveyard, etc.) and multiple lucky top decks. For example after stabilizing at 3 life, my opponent played Pious Evangel while having 6+ creatures for Ormendahl. I had a Sigardian Priest onboard so I had the out to the huge flying demon. HOWEVER, had he flipped his Pious Evangel and then sacked 5 for Ormendahl he would’ve drained me for 5 winning the game. Instead he attacked and got 3 of his creatures killed. Game 2 I topdecked a Collective Effort to kill his Gisela right after he dropped it winning the game on turn 2 of time. My opponent went turn 1 Plains into Chaplain’s Blessing. This did more than give him 5 life as it successfully confused me for the rest of the match. Game 1 he only played Deathcap Culivator and the Crossroads dude all game. I added to my board slowly, but surely and defeated him. Game 2 his mvp was Fiend Binder to keep tapping my big guy. That being said he had no cards in hand to my 4+ all game. It was slow, but tokens got there. I was playing against my former roommate and we tested the match-up during deck construction. His deck was fast, my deck was slow. This was a sad fact. So game 1 I almost stabilized with Wayward Disciple, but lost to It of the Horrid Swarm tokens. Game 2 he flooded and I won with Campaign of Vengeance. However, game 3 I ran out of creatures (holding Campaign and nothing else) and lost. It was 4:30 AM so I split with my opponent and left. The format feels like a simple boardstall battle where the winner either plays a big creature first or removes the opponent’s best blocker. It wasn’t bad, but SOI was definitely a lot more fun. I have a 2HG Sealed for this set coming up soon where hopefully I won’t be underwhelmed by my performance. Anyway, that was pre-release 1, I’ll post pre-release 2 and hopefully another loot post soon (because I actually bought some Vanguard cards for a change, lol what?). I got this list from the results here. This is going to be a list of the cards I want/think need to be hit to open up the meta to new decks. Some of these hits are definite as they would follow recent OCG hits. Let’s get started. Monarchs have the best draw engine in the game thanks to the card Pantheism of the Monarchs. This card is a free plus 1 that generates more card advantage than any spell not named Card of Demise. Now Monarchs are still a somewhat inconsistent deck. I mean all the “brick” jokes had to start somewhere right? So hitting this card may cripple the consistency of the deck, which is unfortunate as monarchs are widely played for a being budget deck. Now all that being said, the April 2016 banlist in OCG put both Pantheism and Domain of the True Monarchs to 1 each. This not only hurts the consistency of the deck, but it also all kills the Domain lock down version of the deck (which while not favored over extra-deck monarchs is still widely played). 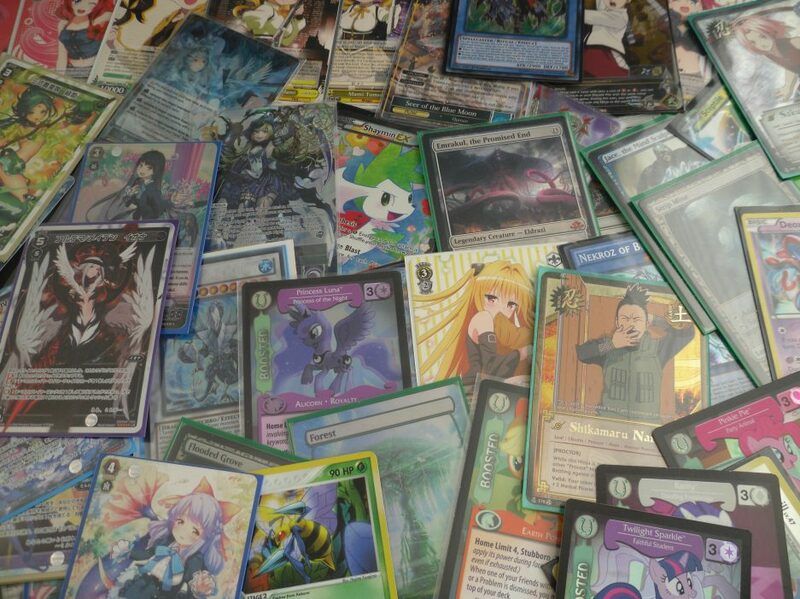 It’s safe to say these hits will carry over to the TCG list, the question being when. You know Burning Abyss really needs to die (no jokes intended). I had the whole deck for about a week post premium gold before selling it, what I realized in the short time was that this deck is just too resilient. Dante and Cir are just too powerful a card interaction. This deck has outlived Nekroz, Shaddolls and Stellarknights (pretty much the entire Duelist Alliance era and the few meta decks to follow it). B.A. has been a meta deck since the fall of 2014. No deck in Yugioh should ever remain relevant this long. Anyway, Dante is going to go to 1 like in OCG. That being said, the deck is still meta with Dante at 1. Not even the printing of Ogre and Winter Cherries could curtail Burning Abyss. I think the only way to actually “kill” Burning Abyss is to ban one of the three decent Malebranches (Graff, Cir or Scram). Now that being said I don’t think this will ever actually happen. The only thing that’s certain is that Dante’s limitation did not kill Burning Abyss in the OCG and that it likely won’t kill it here either. I’m conflicted on this deck. On the one hand, of all meta-defining ygo decks Pendulums never got their format in the tcg. The emergency banlist/adjusted ban list killed the best version of the deck after about 2 weeks of its release. Now the deck is returning to prominence thanks to the printing of Performapal Odd Eyes Unicorn since it acts as a searchable 8 scale off the card Sky Iris. On the one hand Pendulum Summoning as a mechanic is more powerful than basically anything printed previously, but on the other hand its the future of Yugioh so its in Konami’s interest to promote it. In OCG Pendulum Sorcerer went to 1. This is probably the only hit needed to weaken the deck without killing it. However, Monkeyboard is also banned in OCG. Despite this the deck is still alive, leading me to believe that this deck is here to stay until pendulums are hopefully phased out. All Demise decks are pretty much dependent on Card of Demise to keep up with the other meta decks. If they ban/limit Card of Demise then these decks will all just die. I for one, hope that this doesn’t happen. While I would never want to play against the all traps, floodgate style of gameplay that Card of Demise promotes I like it’s forced some diversity in the format. As long as Twin Twisters exists, no backrow oriented deck can ever be tier 1. Even Qliphort Demise, the most consistent Demise deck has already begun to fade from relevance due to its weakness to Spell/Trap removal. Basically, these decks can be killed off easily, but I hope that they don’t. Kozmo Tincan accrues too much free card advantage (mostly due to the absurd fact that it triggers during both players end phases). He’s replaced Farmgirl as the best pilot and pretty much is the go to card in the whole deck. I mean look at Painful Choice, a card that’s been banned for ages. Tincan is just a slightly worse version of that card folks. Compared to Dark Destroyer, Blue Eyes is nothing. Without Utopia the Lightning, there’s no easy way to clear Dark Destroyer either. Though the major problem in the format is that Dark Destroyer is used to destroy itself to extend the Kozmo deck’s plays. This isn’t normal and allows for overly-consistent OTKs. If Dark Destroyer was at 1, there wouldn’t be anymore of this nonsense and Kozmo could just play the value game (which they can already do better than most decks). Kozmotown is the best field spell card ever printed (really name a better one… please try). It provides magical mallet, recovers banished cards and the of course (the part that makes me rage) it can replace itself with another copy of itself. Kozmotown should never have been printed I would want it banned honestly. Though at 1, it’s probably fine. Kozmo was the most interesting part of this article since as a tcg exclusive archetype, there’s no precedent for what might happen to it. With SHIV the deck should have all of its intended support so Konami should finally be looking to directly nerf it. I want to wish my friends at Nats the best of luck. Thanks for reading as always.